15 UNIQUE FLAVORS* AND COUNTING! 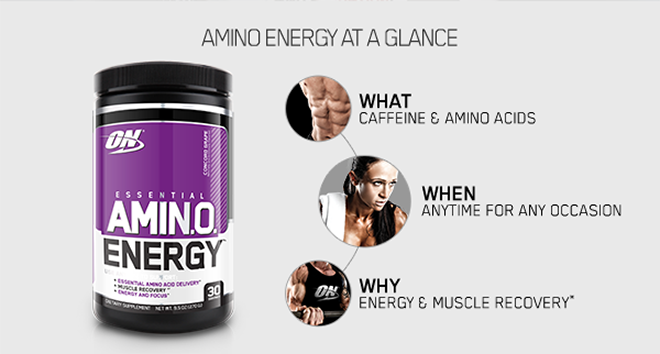 Add cold water or Almond Milk and 2 or more scoops of Cafè Series Amino Energy to a bender jar. Blend for a few seconds, then shut off blender and add a handful of ice cubes. Blend for an additional 20-30 seconds and pour into a glass. 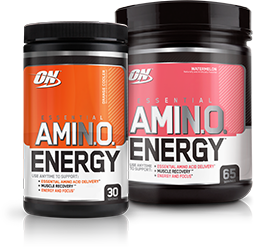 Optimum Nutrition has been spotting the efforts of goal driven individuals since 1986. As one of the few companies to own and operate state-of-the-art manufacturing facilities that are GMP compliant, ON assures that every shake will mix up effortlessly because of its first-to-market instantization process. You also expect each shake to taste the same as the last and your next. That’s the kind of consistency ON delivers. 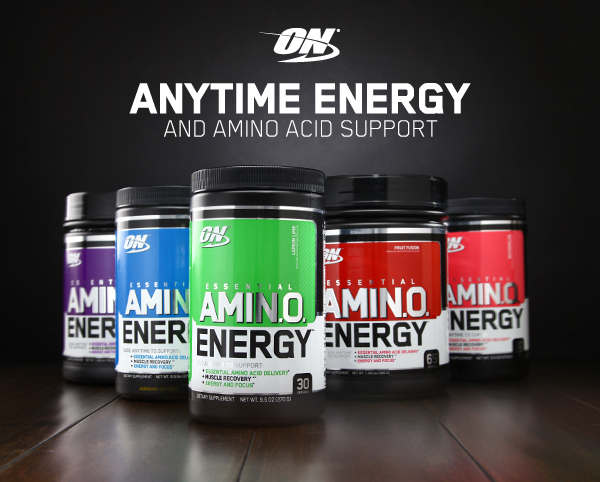 Mix two scoops of ESSENTIAL AMINO ENERGY in 10-12 oz of cold water. 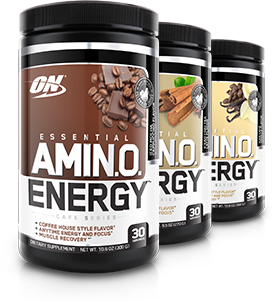 FOR AN AMINO ACID BOOST: Consume one or more servings first thing in the morning and/or between meals. FOR PRE-WORKOUT ENERGY: Take 1-3 servings 20-30 minutes before training. FOR POST-WORKOUT RECOVERY: Take 1-2 servings immediately after training. Do not exeed more than 5 servings per day.